Our Hangerbee Kits are perfect for organizations interested in a fun, cost-saving experience. Like quilting bees, which bring people together for a common purpose, our Hangerbee Kits require no sewing and are perfect for staff and volunteers of all ages. 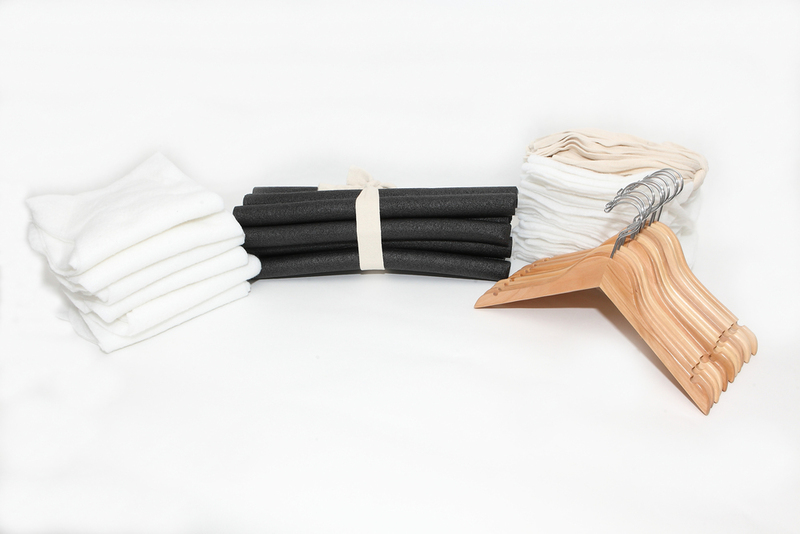 Hangerbee Kits include all the pre-washed, pre-cut materials needed to make our high-quality padded hangers. All Kits include a photo-filled instruction guide for easy assembly.